Novelist, folklorist, and anthropologist Zora Neale Hurston is widely considered to be one of the preeminent African-American writers of the twentieth century. Born January 7, 1891, in Notasulga, Alabama, Hurston was the fifth of eight children. 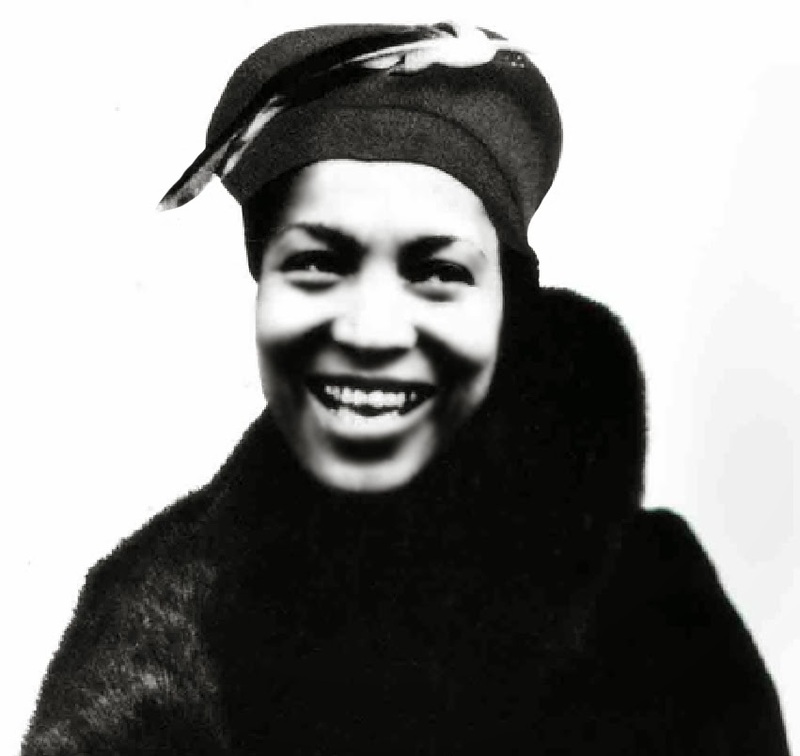 When she was still a toddler, her father John, a Baptist preacher and farmer, moved the family to Eatonville, Florida; for Zora, Eatonville would always be home. The rural community was established in 1887 near Orlando and was the first incorporated black township. Eatonville was a quiet community (Hurston once wrote that it had no jailhouse) and was a place where the doctrine of racial inferiority was never present. Hurston was everywhere surrounded by black role models: black men, including her father who later became mayor, made the laws and enacted city policy; black women, including her mother Lucy Ann, taught in schools during the week and on the weekends guided the coursework of Sunday schools. Black men and merchants comprised the town’s business class; their mothers and wives passed the time telling colorful stories, preserving a rich oral tradition in the town’s culture. Hurston’s childhood was, by all accounts, a happy one, though she often clashed with her father, who considered her somewhat capricious. But Hurston could always rely on the support of her mother who frequently encouraged her and her siblings to “jump at de sun,” as Hurston later wrote. 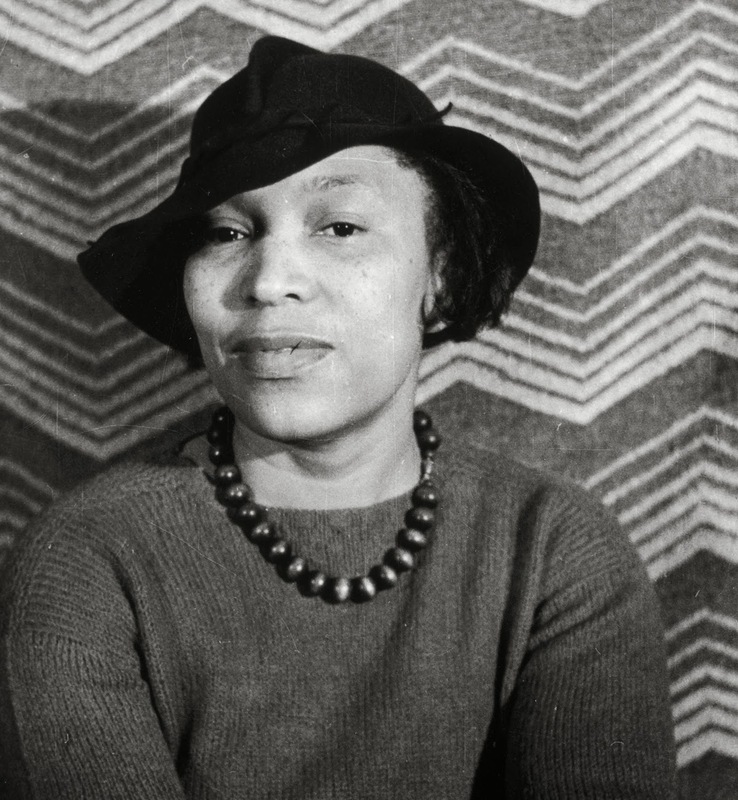 In her lifetime, Hurston’s works were relegated to near obscurity by a society and an African American community saturated by political correctness and bristling at Hurston’s use of dialects and ideas that many modern blacks considered demeaning. Alice Walker’s article, In Search of Zora Neale Hurston, published in the March 1975 issue of Ms. magazine, is largely credited with bringing about a revival of interest in Hurston’s life and work. The article coincided with the appearance of other authors, such as Maya Angelou and Walker herself, that celebrate the African- American experience without focusing solely upon racial issues. Pustanio, A. (2013). Jump at de Sun: The Life of Zora Neale Hurston in Hoodoo Almanac 2013 Gazette, Prescott Valley, AZ: Creole Moon Publications. 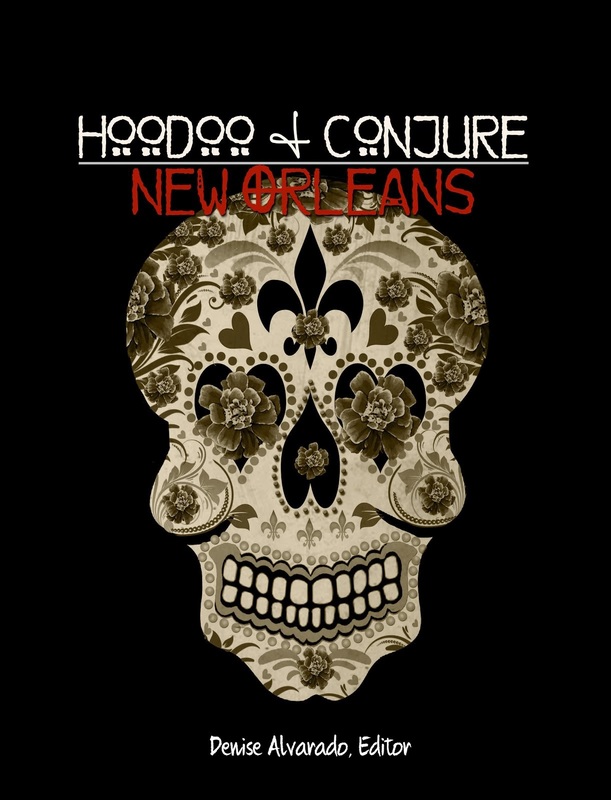 Read the whole article in Hoodoo Almanac 2013 Gazette. (Editor’s note: I have made some minor grammatical and formatting changes for easier reading. Most is left intact verbatim to retain its ethnographic and folkloric value). It would be impossible for anyone to find out all the things are being used in conjure in America. Anything may be conjure nothing may be conjure, according to the doctor, the time and use of the article. 1. Fast Luck: Aqueous solution of oil of Citronella. It is put scrub water to scrub the house. It brings luck in business, pulling customers into a store. 2. Red Fast Luck: Oil of Cinnamon and Oil of Vanilla, What is set down here are the things most commonly wintergreen. Used as above to bring luck. 3. Essence of Van Van: Ten percent. Oil of Lemon Grass. Alcohol. (Different doctors specify either grain, mentholated or wood alcohol), Used for luck and power of all kinds. Is the most popular conjure drug in Louisiana. 4. Fast Scrubbing Essence: A mixture of thirteen oils. It is burned with incense for fish-fry luck, i.e. business success. It includes: Essence Cinnamon, Essence Wintergreen, Essence Geranium, Essence Bergamot, Essence Orange Flowers, used also in initiation baths Essence Lavender; used also in initiation baths Essence Anise, Essence St. Michael, Essence Rosemary. 5. Water Notre Dame: Oil of White Rose and water. Sprinkle it about the home to make peace. 6. War Water: Oil of Tar in water (filtered). Break a bit of it on the steps wherever you wish to create strife; is sometimes made of creolin in water. 7. Four Thieves Vinegar. It is used for breaking up homes making a person run crazy, for driving off. It is sometimes put with a name in a bottle and the bottle thrown into moving water. It is used also to "dress" cocoanuts to kill and drive crazy. 8. Egyptian Paradise Seed (Amonium Melegrcta). This is used in seeking success. Take a picture of St. Peter and put it at the front door and a picture of St. Michael at the back door. Put the Paradise seeds in little bags and put one behind each saint. It is known as "feeding the saint." 9. Guinea Paradise seed. Use as above. 10. Guinea pepper. This may also be used for feeding saints; also for breaking up homes or protecting one from conjure. White Mustard seed. For protection against harm. 11. Black Mustard seed. For causing disturbance and strife. 12. Has-no-harra- Jasmine lotion. Brings luck to gamblers. 13. Carnation, a perfume. As above. 14. Three Jacks and a King. A perfume. As above. 15. Narcisse. As above but mild. 16. Nutmegs, bored and stuffed with quicksilver and sealed with wax, and rolled in Argentorium are very lucky for gamblers. 17. Lucky Dog is best of all for gamblers' use. 18. Essence of Bend-over. Used to rule and have your way. 19. Cleo May, a perfume. To compel men to love you. 20. Jockey Club, a perfume. To make love and get work. 21. Jasmine Perfume. For luck in general. 22. White Rose. To make peace. 23. French Lilac. Best for vampires. 24. Taper Oil: perfumed olive oil. To bum candles in. 32. Steel dust is sprinkled over black load stone in certain ceremonies. It is called "feeding the he, feeding the she." 33. Steel dust is attracted by a horseshoe magnet to draw people to you. Used to get love, trade, etc. 34. Gold and silver magnetic sand. Powdered silver gilt used with I magnet to draw people to you. 35. Saltpeter is dissolved in water and sprinkled about to ward off conjure. 36. Scrub waters other than the Fast Lucks (See above 1 and 2) are colored and perfumed and used as follows: red, for luck and protection; yellow, for money; blue, (always colored with Copperas), for protection and friends. 38. Big John the Conqueror. Little John the Conqueror. It is also put in Notre Dame Water or Waterloo in order to win. 39. World wonder Root. It is used in treasure hunts. Bury a piece in the four corners of the field; also hide it in the four corners of your house to keep things in your favor. 40. Ruler's Root. Used as above. 42. Dragon's Blood (red root fibers). Crushed. Used for many purposes. 43. Valerian Root. Put a piece in your pillow to quiet nerves. 44. Adam and Eve Roots (paid). Sew together in bag and carry on person for protection. 45. Five-fingered grass. Used to uncross. Make tea, strain it and bathe in it nine times. 46. Waste Away Tea. Same as above. 47. Pictures of Saints, etc., are used also. 48. St. Michael, the Archangel. To Conquer. 49. St. Expedite. For quick work. 50. St. Mary. For cure in sickness. 51. St. Joseph with infant Jesus. To get job. 52. St. Peter without the key. For success. 53. St. Peter with the key. For great and speedy success. 54. St Anthony de. Padua. For luck. 55. St. Mary Magdalene. For luck in love (for women). 56. Sacred Heart of Jesus. For organic diseases. often very large, one candle costing as much as six dollars. 61. White. For peace and to uncross and for weddings. 63. Pink. For love (some say for drawing success). 64. Green. To drive off (some say for success). 65. Blue. For success and protection (for causing death also). 67. Brown. For drawing money and people. 68. Lavender. To cause harm (to induce triumph also). 69. Black. Always for evil or death. 70. Votive candles. For making Novenas. 71. The Bible. All hold that the Bible is the great conjure book in the world. Moses is honored as the greatest conjurer. "The names he knowed to call God by was what give him the power to conquer Pharaoh and divide the Red Sea.